If you want to connect your Xbox One console to Xbox Live and don’t have a router, you can connect through your Mac computer. If your Mac is connected to the Internet and has an AirPort Card installed, you can share its Internet connection with your console. All you need to do is connect your Mac to your console, turn on Internet sharing, get your computer’s DNS server address, and then set the network settings on your console. Plug one end of an Ethernet cable into the network port on the back of your Xbox One console. Plug the other end into an Ethernet port on your Mac. On your Mac, choose Apple > System Preferences, and then click Sharing. On your Mac, select Apple > System Preferences > Network. 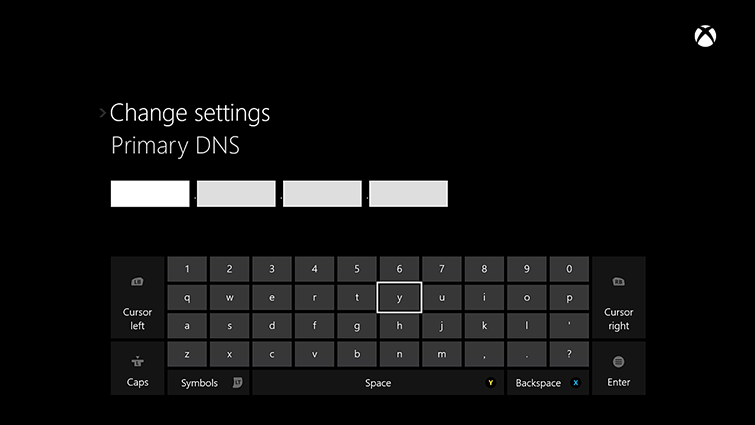 Click DNS, and then write down the numbers listed under "DNS Servers." Select Advanced settings, and then select IP settings. Select Manual. You’ll be prompted for the IP address. Enter 192.168.2.2, and then select Enter. You’ll then be prompted for the Subnet mask. Enter 255.255.255.0, and then select Enter. Next, you’ll be prompted for the Gateway. Enter 192.168.2.1, and then select Enter. Select Manual. You’ll be prompted for the Primary DNS and then the Secondary DNS server. Enter the numbers that you wrote down in Step 2, and then select Enter. Press B on your controller, and then select Test network connection. Your console should now share the Internet connection that your Mac is using to connect to Xbox Live. Would you like to contact Support regarding the "Connect your Xbox One console to Xbox Live using a Mac computer" issue you were reading about or a different issue?